In the Employee Spotlight we aim to recognize a Youth Service, Inc. employee making an impact in the communities we serve. Jamie Clark works in the Family Empowerment Services (FES) program at Youth Service, Inc.’s Crittenton Family Support Center. In my teen years, I was volunteering at community centers and in different types of arts and humanity work. Here I discovered my passion to help people overcome their challenges and was inspired myself to learn more about social justice. I discovered social work and knew that this was my future career. 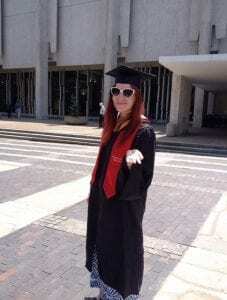 I graduated from Temple University with a Bachelor’s Degree in Social Work. I have worked in settings supporting youth in school and partial therapeutic programs in Philadelphia. Currently, I am pursuing my Master’s Degree in Clinical Social Work at Temple University. Q: How long have you been working at YSI in the FES program? I began working for Youth Service, Inc. in the FES program in fall 2016. Q: Why do you think the FES program is important? Family Empowerment Service (FES) is important because this service offers a community based approach to supporting and strengthening the family unit. Q: What do you enjoy most about working at YSI in the FES program? I enjoy the different advocacy opportunities to learn more about how support our clients’ challenges. I enjoy my FES and Crittenton team the most at YSI! There is not a day that will pass, where I am chatting up someone about different resources in our city and learning more about social work. FES provides time-limited social services to help families enhance their abilities to meet the basic well-being and needs of their children. The goal of FES is to promote family stability and well-being,enhance protective factors, reduce risk factors for families and children, increase community support networks and linkages for families and children and increase a family’s abilities to address their own needs. To learn more, please contact Erica Makowski at emakowski@ysiphila.org or 215-848-6200.